July Events of Chartres Calendar 2011 - We're in the beginning of summer now... long summer vacation has kicked off!! Read along this calendar events section to have some exciting ideas during your summer here... Chartres light show, summer festival and more... Remember also the most important moment for the whole French... July 14th Celebration fireworks!! 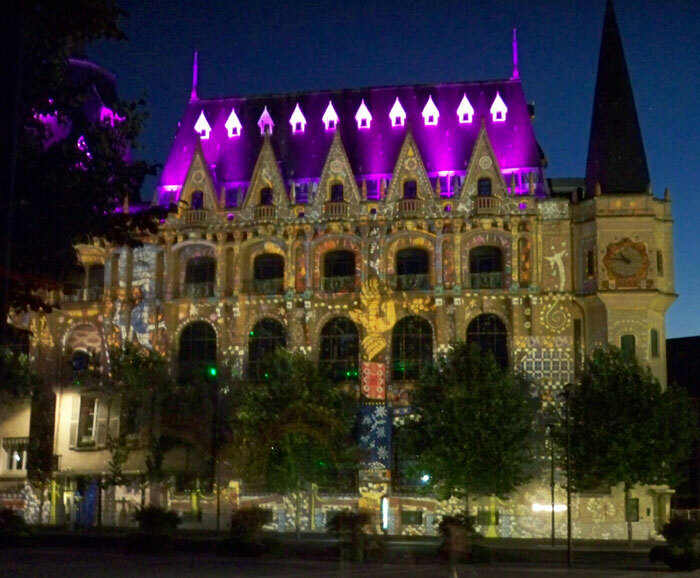 This year Chartres Light Show starts at the same moment with another major event, fête du parfum, with the theme Chartres en Lumières and Chartres en parfum. The colorful and "dancing" light illuminate 27 historic sites every fallen night to 01.00 am. It's really an unmissable moment, each illuminated sites tells story and almost each year have new sites with new illumination. You could visit those illuminated places by le petit chart'train - depart from cathedral (no reservation need for individual) or else, if you wish to photograph them, a self guide could be a good option. 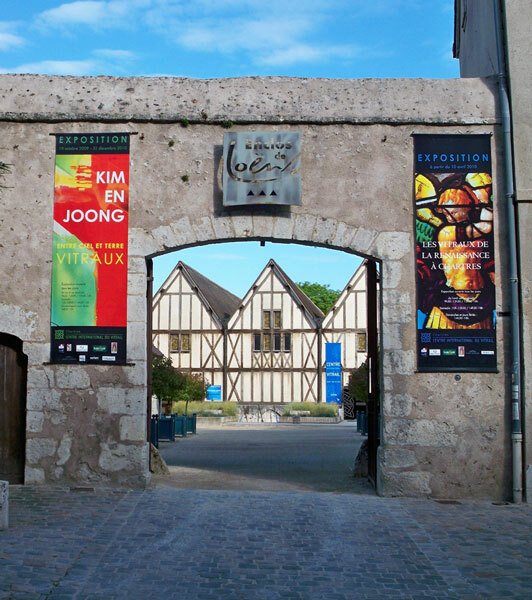 Chartres Summer Festivals (Soirées Estivales de Chartres) - free entertainments for all age during the summer vacation. Music of any styles and theater shows at different places in Chartres center also organ concerts in cathedral. This time exhibitions theme is Entre Ciel et Terre (Between Heaven and Earth). Dining outdoor at Place des Epars! Everybody could brings their own picnic... several tables and caterers are there for you for this occasion. It's the dance time!!! You can dance in different styles this night. Music concert by The Rabeats - a night of the Beatles's! This is the moment... the fireworks! Too good to miss! Let's pray the weather will helps... Free bus will be ready to take you to Hippodrome from 07.30pm to midnight. Catch the bus at boulevard de La Courtille and Place Morard. When: July 9 at 11am The artist, Konrad Loder, presents to you his art works. When: July 19 at 03pm Mini guided tour inside the mediatheque building - to know more about its history and today's services. Just a reminder... it might be important to confirm the date and location of events as these following schedule may not reflect changes or cancellation.